Melé, a producer and DJ who needs no introduction. He has created a unique sound through his euphoric high-octane dance music inspired by his love of Brazilian beats, transatlantic hip hop and classic house music. The boy from the Wirral started young, learning to DJ aged 13; more than decade on and he’s honed his skills and his 2015 tribal anthem ‘Ambience’ kick started his status as one of the new names to watch back in 2016. 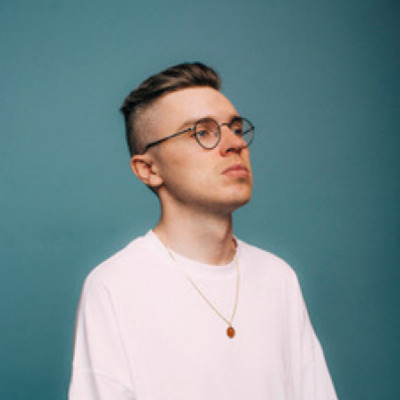 Melé’s energetic and unique percussive sound has gained him prolific support and recognition from some of the biggest names across the scene: Eats Everything, Patrick Topping, Giles Peterson and Jackmaster to Annie Mac, Pete Tong and Disclosure, thus his tracks are becoming instantly recognizable in clubs across the world. 2018 started with a hotly received EP on Haus’ Unknown to the Unknown, and then a spot as curator and taste maker taking the reins for Defecteds legendary In The House compilation series – following on from the likes of Loco Dice, Nic Fancuili & Masters at Work. Moving further into 2018 Melé continued to sink his teeth into the Elrow parties in London, Barcelona, Amsterdam plus many more solidifying himself as an instantly recognizable DJ / producer in clubs across the world. With plans afoot to launch his own imprint Club Bad, UK & European parties being organised for the brand. Melé shows no sign of slowing down and 2019 will be no different. 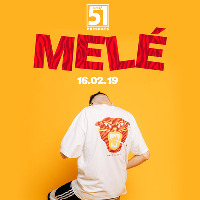 Get down to see Melé’s debut in Unit 51. Support comes from Adam Chapman. Adam is one of Aberdeen’s most promising up and coming talents, with productions and mixes alike he knows how to get any dance floor moving. Definitely someone to keep an eye on in the future!